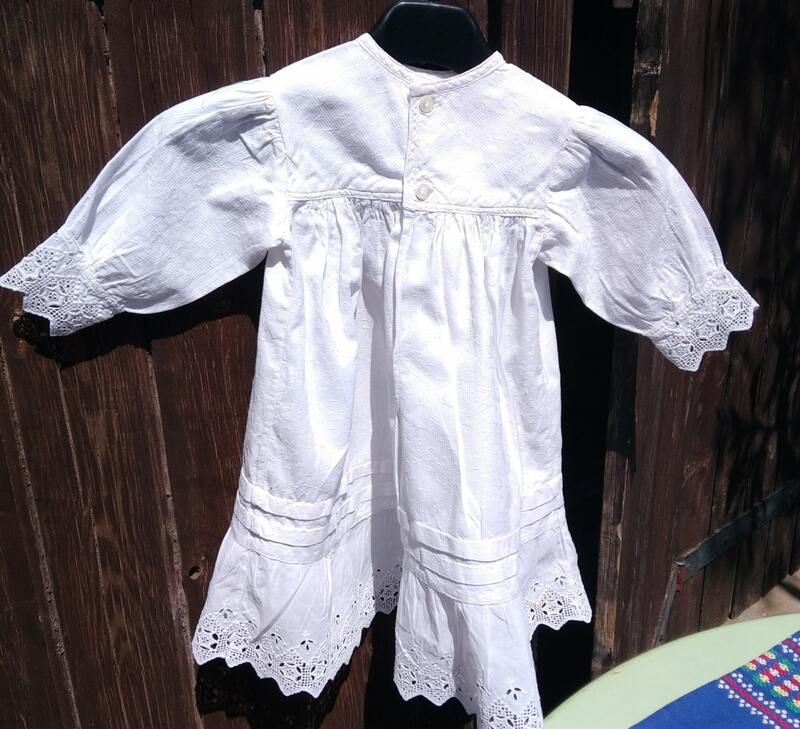 Romantic Vintage 1950's French Christening Dress. 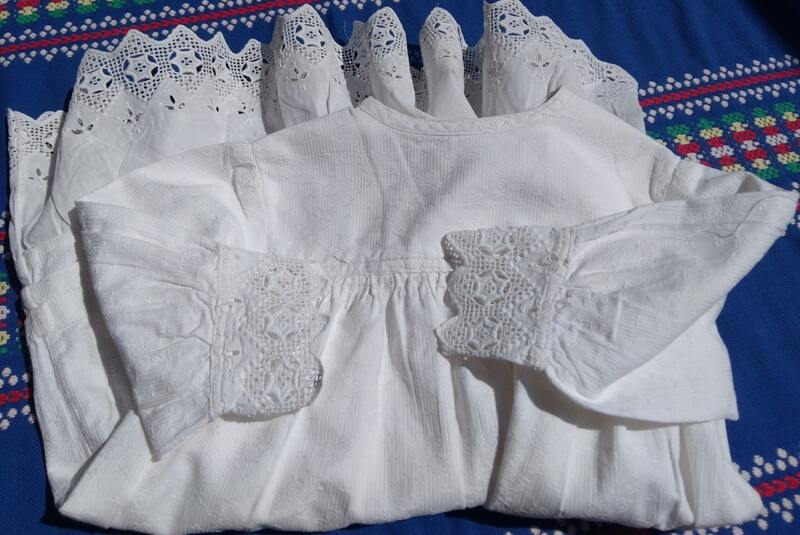 White Fleece Damask Cotton. 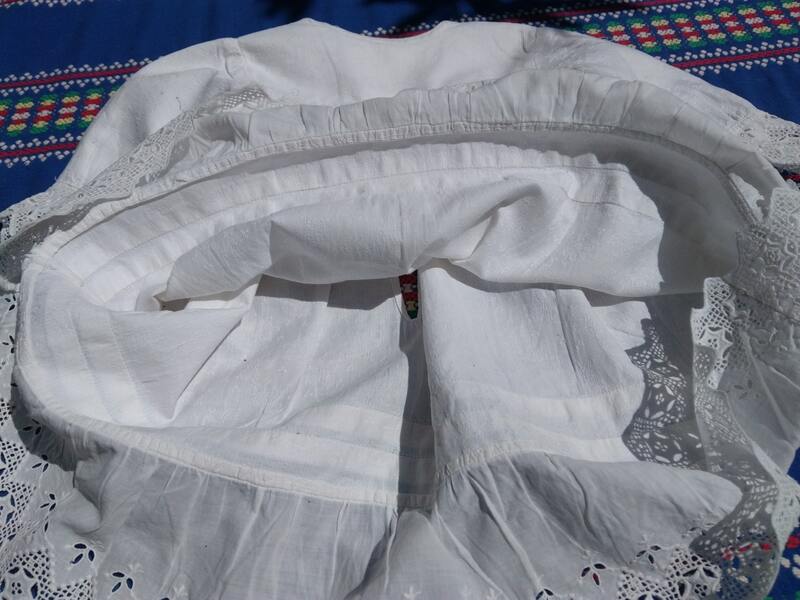 Good vintage condition with small darning on the bottom tier . 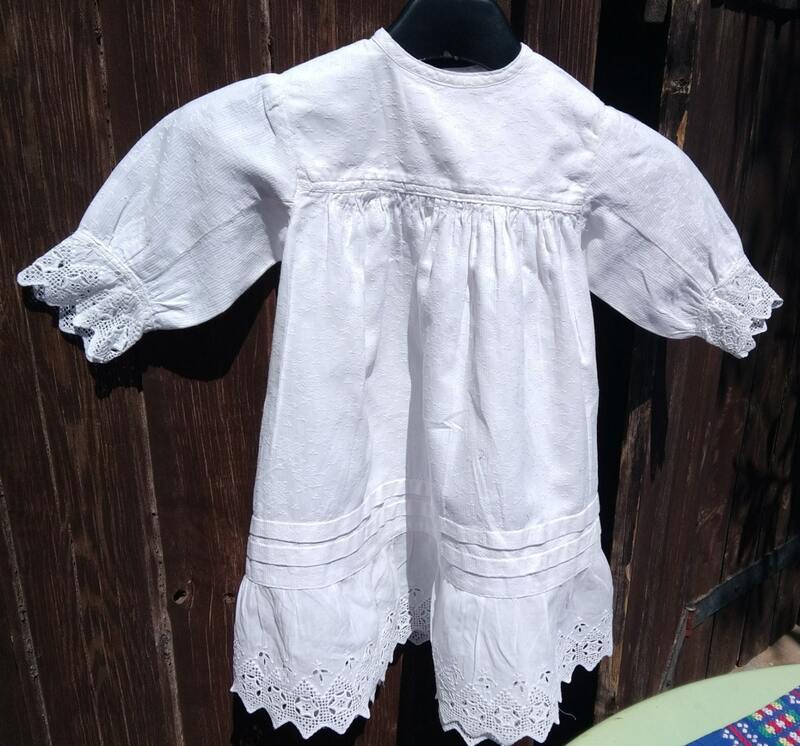 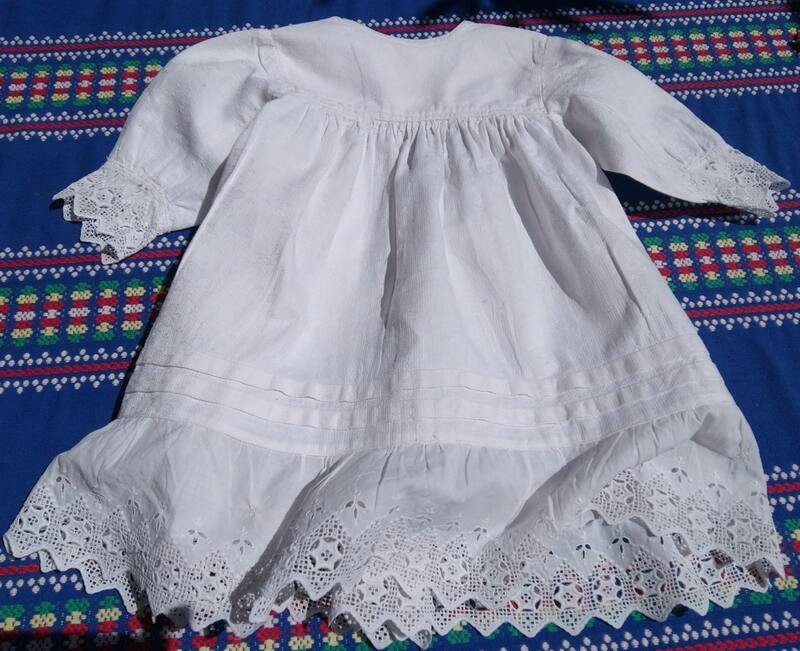 Lovely Romantic Christening gown to be in use again or to keep as collectible or to dress a doll!